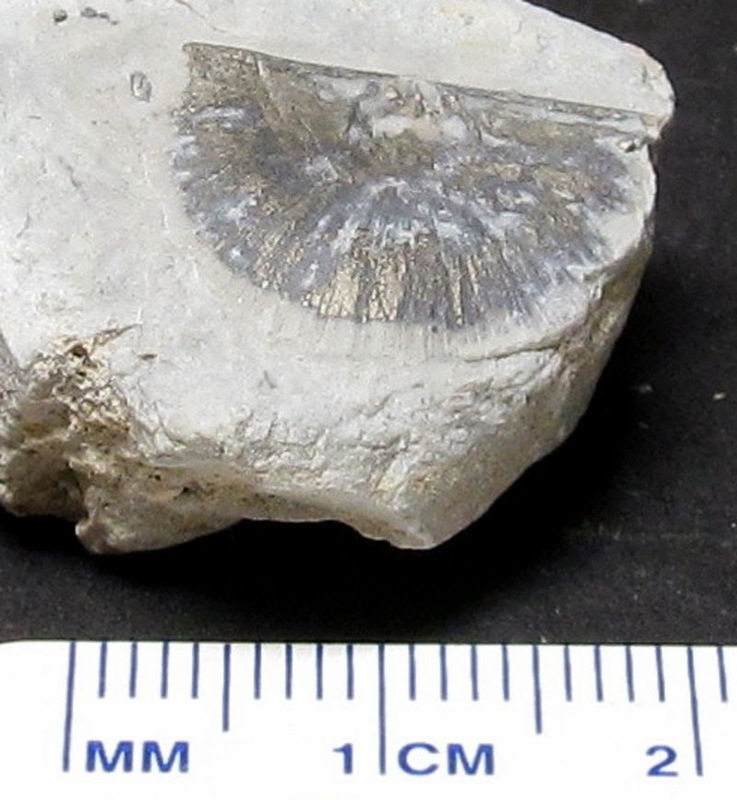 Here is a picture of what appears to be a Strophodonta striata brachiopod fossil. The pyritized fossil is from the Silurian Period. It was found in the Waldron Shale of Indiana, USA.